A conference organized by the European Commission on the European antimicrobial resistance (AMR) five year action plan and its future challenges is taking place in Brussels today, 11 December. The conference is intended to provide a platform to discuss this action plan at the mid-stage of its implementation, looking at the issue both from a human health and veterinary perspective. The rising threats from antimicrobial resistance provide the background for the discussions that are focused on future challenges and the drivers and possible limitations of the plan to reduce the rising threat of AMR. High level experts at EU level from both the human and veterinary sectors are meeting to discuss the cumulative effect of the use of antimicrobials. Representatives from EU Member States, International Organzations, European stakeholders associations and non-EU countries have also been invited. 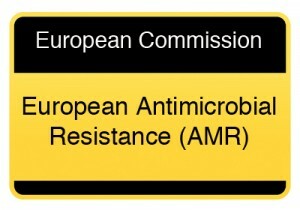 This conference is organised following the 2012 European Parliament “Report on the Microbial Challenge — Rising threats from Antimicrobial Resistance”, which called on the Commission to publish a progress report on the actions taken so far. The conference conclusions will be incorporated into this progress report foreseen for publication early 2014.